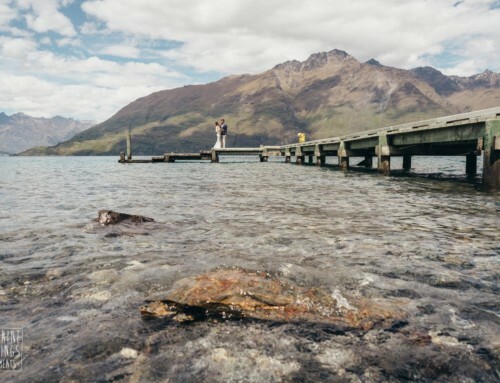 Molly and Jon combined a family holiday in New Zealand with their wedding at Thurlby Domain. All the loved ones came with them from the USA to celebrate. With help from our talented local vendors, the ceremony location looked amazing. With decor and furniture from Queenstown Wedding Hire. The floral arch decoration and bouquets were from Tracey at Crimson Wedding Flowers. 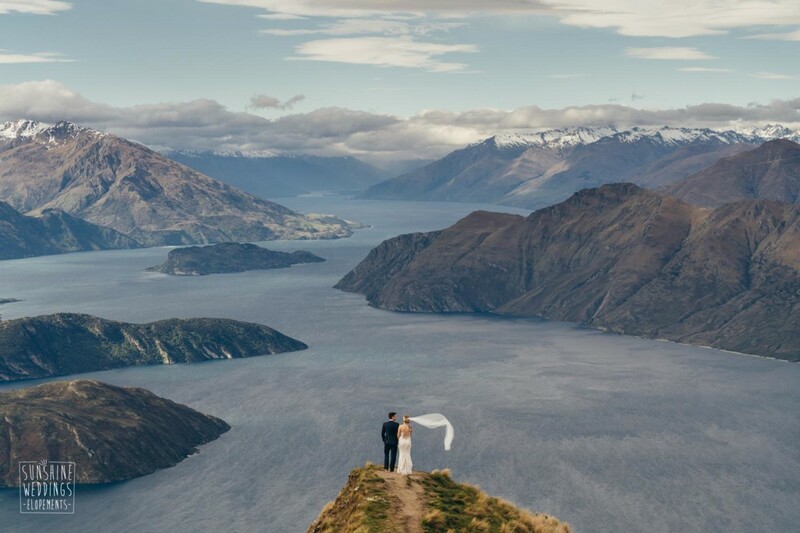 Their wedding vows during the ceremony by Glennys Logan celebrant, might be some of the most thoughtful we have heard. After the ceremony and celebrations, we took a few photos around the Thurlby Domain ruins. Afterwards, we headed off for a helicopter flight to Coromandel Peak. A bit of wind was perfect for veil shots! 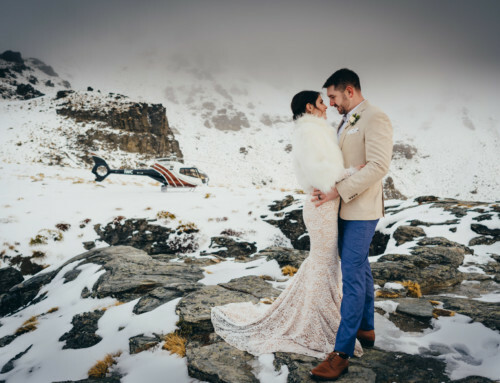 Molly and Jonathan booked our Thurlby Domain and mountain photoshoot wedding package for their intimate family wedding plus flowers, decor and furniture, and video. 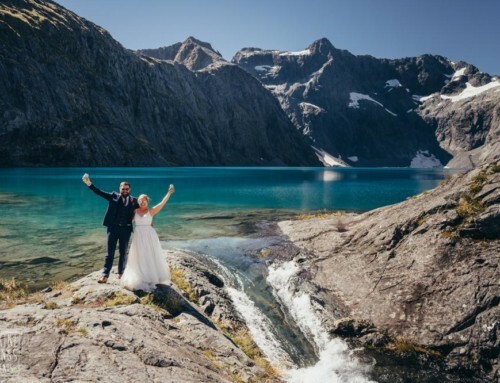 Their Thurlby Domain wedding package included planning, coordination, celebrant, venue hire, bubbles, helicopter flight, bouquet and buttonhole plus decor and furniture at the venue. They added on an extra hour of photography time plus video.